In General Access to and use of MinaRoe.com (“MINA ROE”) and the products and services available through this Website (collectively, the “Services”) are subject to the following terms, conditions and notices (the “Terms of Service”). By using the Services, you are agreeing to all of the Terms of Service, as may be updated by us from time to time. You should check this page regularly to take notice of any changes we may have made to the Terms of Service. Access to this Website is permitted on a temporary basis, and we reserve the right to withdraw or amend the Services without notice. We will not be liable if for any reason this Website is unavailable at any time or for any period. From time to time, we may restrict access to some parts or this entire Website. Prohibitions You must not misuse this Website. You will not: commit or encourage a criminal offence; transmit or distribute a virus, trojan, worm, logic bomb or post any other material which is malicious, technologically harmful, in breach of confidence or in any way offensive or obscene; hack into any aspect of the Service; corrupt data; cause annoyance to other users; infringe upon the rights of any other person’s proprietary rights; send any unsolicited advertising or promotional material, commonly referred to as “spam”; or attempt to affect the performance or functionality of any computer facilities of or accessed through this Website. Breaching this provision would constitute a criminal offence. MINA ROE will report any such breach to the relevant law enforcement authorities and disclose your identity to them. We will not be liable for any loss or damage caused by a distributed denial-of-service attack, viruses or other technologically harmful material that may infect your computer equipment, computer programs, data or other proprietary material due to your use of this Website or to your downloading of any material posted on it, or on any website linked to it. The use of automated systems or software to extract data from this Website for commercial purposes is prohibited without license. Intellectual Property, Software and Content The intellectual property rights in all software and content made available to you on or through this Website remains the property of MINA ROE and are protected by copyright laws and treaties around the world. All such rights are reserved by MINA ROE. You may store, print and display the content supplied solely for your own personal use. You are not permitted to publish, manipulate, distribute or otherwise reproduce, in any format, any of the content or copies of the content supplied to you or which appears on this Website nor may you use any such content in connection with any business or commercial enterprise. You shall not modify, translate, reverse engineer, decompile, disassemble or create derivative works based on any software or accompanying documentation supplied by MINA ROE. 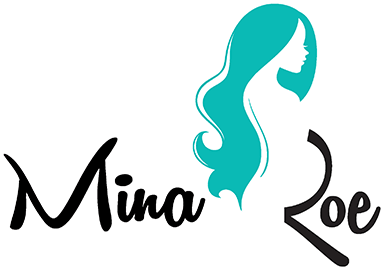 MinaRoe.com™ is a trademark belonging to MINA ROE. No license or consent is granted to you to use this mark in any way, and you agree not to use this mark or any marks that are similar without the written permission of MINA ROE. Registration MINA ROE reserves the right to close an account if any user is seen to be using proxy IPs (Internet Protocol addresses) in order to attempt to hide the use of multiple accounts, or disrupts any of our services in any way. Submission of material You own all of the content and information you post or tag on this website or any Social Media platforms linked to this Website, and you can control how it is shared. In addition: For content that is covered by intellectual property rights, like photos and videos (“IP content”), you specifically give us the following permission to grant us a non-exclusive, transferable, sub-licensable, royalty-free, worldwide license to use any IP content that you post on or in connection with MINA ROE (“IP License”). This includes for example and without limitation the right and license to use, reproduce, modify, edit, adapt, publish, translate, create derivative works from, distribute, perform and display such material (in whole or part) worldwide and/or to incorporate it in other works in any form, media, or technology now known or later developed. In certain circumstances MINA ROE may also share your contribution with trusted third parties. This IP License ends when you delete your IP content or your account provided that your content may still be accessible if it has been shared with others, and we are not obligated to delete IP content shared by you. You also acknowledge that MINA ROE is not obliged to publish any material submitted by you on any MINA ROE publication. When you delete IP content, it is deleted in a manner similar to emptying the recycle bin on a computer. However, you understand that removed content may persist in backup copies for a reasonable period of time (but will not be available to others). When you use an application, your content and information is shared with the application. We require applications to respect your privacy, and your agreement with that application will control how the application can use, store, and transfer that content and information. When you publish content or information using the “Public” setting, it means that you are allowing everyone, including other Website users, to access and use that information, and to associate it with you (i.e. your name and profile picture). We advise that you never reveal any personal information about yourself or anyone else (telephone number, home address, business address, delivery address or email address or any other details that would allow you to be personally identified). We always appreciate your feedback or other suggestions about MINA ROE, but you understand that we may use them without any obligation to compensate you for them (just as you have no obligation to offer them). By submitting any material to us, you agree to use the MINA ROE Community Areas in accordance with these Terms and Conditions. If you do not want to grant CHHIC the permission set out above on these terms, please do not submit or share your contribution on the Community Areas. The Service provides you with the ability to interact with social media services, such as through Facebook “Like” buttons, Twitter and otherwise. These features may enable integration and/or access to your social media accounts. We do not control those social media services, your profiles on those services, modify your privacy settings on those services or establish rules about how your personal information on those services will be used. You and the social media service providers are in control of those issues, not MINA ROE. You are encouraged to read all policies and information on the applicable social media services to learn more about how they handle your information before using any such features made available to you on our Service. We are not responsible for any acts or omissions by any social media service provider or your use of features that come from their platform. Terms of Sale By placing an order you are offering to purchase a product on and subject to the following terms and conditions. All orders are subject to availability and confirmation of the order price. Dispatch times may vary according to availability and any guarantees or representations made as to delivery times are subject to any delays resulting from postal delays or force majeure for which we will not be responsible. In order to contract with MINA ROE you must be over 18 years of age and possess a valid credit or debit card issued by a bank acceptable to us. MINA ROE retains the right to refuse any request made by you, and MINA ROE reserves the right to close your MINA ROE account at its sole discretion. If your order is accepted we will inform you by email and we will confirm the identity of the party that you have contracted with. When placing an order you undertake that all details you provide to us are true and accurate, that you are an authorized user of the credit or debit card used to place your order and that there are sufficient funds to cover the cost of the goods. All prices advertised are subject to change. Our Contract When you place an order, you will receive an acknowledgement e-mail confirming receipt of your order. This email will only be an acknowledgement and will not constitute acceptance of your order. A contract between us for the purchase of the goods will not be formed until your payment has been approved by us and we have debited your credit or debit card. Payment Upon receiving your order we carry out a standard pre-authorization check on your payment card to ensure there are sufficient funds to fulfill the transaction. Goods will not be dispatched until this pre-authorization check has been completed. Your card will be debited once the order has been accepted. Discount Codes Promotional discount codes – We may from time to time offer promotional discount codes which may apply in respect of any, or certain specified, purchases made though this Website. The conditions of use relating to any discount code will be specified at the time of issue. These T&Cs relate to all MINA ROE promotions, competitions and discount codes (unless otherwise stated). Only one promotion code can be used per order. A promotional code can’t be used after an order has been placed. Maximum pre-discount spend limit of $1,000 USD applies per order. Maximum 20% off any discounted order. If the promotional code has expired, then you shouldn’t try to use it. Also you can’t swap your promotional code for cash. If you’ve been given a promotional discount code, then you can only use it on your own MINA ROE account for the purpose for which it was issued. Maximum pre-discount spend limit of $1,000 USD applies per order using promotional codes. Don’t use a promotional code to buy discounted products from MINA ROE, and then sell them on for a higher price to make personal profit. Disclaimer of Liability The material displayed on this Website is provided without any guarantees, conditions or warranties as to its accuracy. Unless expressly stated to the contrary to the fullest extent permitted by law. MINA ROE, content providers and advertisers hereby expressly exclude all conditions, warranties and other terms which might otherwise be implied by statute, common law or the law of equity and shall not be liable for any damages whatsoever, including but without limitation to any direct, indirect, special, consequential, punitive or incidental damages, or damages for loss of use, profits, data or other intangibles, damage to goodwill or reputation, or the cost of procurement of substitute goods and services, arising out of or related to the use, inability to use, performance or failures of this Website or the Linked Sites and any materials posted thereon, irrespective of whether such damages were foreseeable or arise in contract, tort, equity, restitution, by statute, at common law or otherwise. This does not affect MINA ROE’s liability for death or personal injury arising from its negligence, nor for fraudulent misrepresentation, misrepresentation as to a fundamental matter or any other liability that cannot be excluded or limited under applicable law. Linking to this Website You may link to our home page, provided you do so in a way that is fair and legal and does not damage our reputation or take advantage of it, but you must not establish a link in such a way as to suggest any form of association, approval or endorsement on our part where none exists. You must not establish a link from any website that is not owned by you. This Website must not be framed on any other site, nor may you create a link to any part of this Website other than the home page. We reserve the right to withdraw linking permission without notice. Disclaimer as to ownership of trade marks, images of personalities and third party copyright Except where expressed, no trademarks, tags or logos that may appear in the form of advertisement or other is owned by MINA ROE. Indemnity You agree to indemnify, defend and hold harmless MINA ROE, its directors, officers, employees, consultants, agents, and affiliates, from any and all claims, liability, damages and/or costs (including, but not limited to, legal fees) arising from your use this Website or your breach of the Terms of Service. Variation MINA ROE shall have the right in its absolute discretion at any time and without notice to amend, remove or vary the Services and/or any page of this Website. Invalidity If any part of the Terms of Service is unenforceable (including any provision in which we exclude our liability to you) the enforceability of any other part of the Terms of Service will not be affected all other clauses remaining in full force and effect. So far as possible where any clause/sub-clause or part of a clause/sub-clause can be severed to render the remaining part valid, the clause shall be interpreted accordingly. Alternatively, you agree that the clause shall be rectified and interpreted in such a way that closely resembles the original meaning of the clause /sub-clause as is permitted by law. Complaints We operate a complaints handling procedure that we will use to try to resolve disputes when they first arise: if you have any complaints or comments, please let us know. Entire Agreement The above Terms of Service constitute the entire agreement of the parties and supersede any and all preceding and contemporaneous agreements between you and MINA ROE. Any waiver of any provision of the Terms of Service will be effective only if in writing and signed by a Director of MINA ROE. MINA ROE will never knowingly associate or support distributors or manufacturers that are in breach of the above principles. As MINA ROE continues to grow it recognizes the importance of being proactive and doing everything within its power to support the rights of those involved in the manufacture of its goods.